A better question might be, what isn’t it good for? As one of the most potent medicinal foods available, including cabbage as a regular part of your diet (two or three times a week, or, even better, four or five) may offer many significant health benefits. Cabbage contains powerful antioxidants like vitamins A and C and phytonutrients such as thiocyanates, lutein, zeaxanthin, isothiocyanates and sulforaphane, which stimulate detoxifying enzymes and may protect against breast, colon and prostate cancers. Sulforaphane , also selectively targets cancer stem cells, and by doing so it effectively prevents the cancer from spreading and/or recurring. Antioxidants also help protect your body from oxidative stress. You need some level of inflammation in your body to stay healthy, however it’s also possible, and increasingly common, for the inflammatory response to get out of hand. Cabbage contains a wealth of anti-inflammatory nutrients to help keep inflammation in check. Among them are anthocyanins, a type of polyphenol that’s particularly plentiful in red cabbage, although all types of cabbage contain anti-inflammatory polyphenols. Glucosinolates are phytochemicals that break down into indoles, sulforaphane and other cancer-preventive substances. Indole-3-carbinol, for example, halts the cell cycle in breast cancer cells without actually killing the cells. The cell cycle is a rigidly controlled series of steps a cell must go through before it can divide in two, involving the duplication of the cell’s contents and a final split. If you can alter specific components of the cell cycle, you can stop the growth of cancer cells without killing normal cells. Indole-3-carbinol interferes with the cell cycle in a way that turns off a gene for an enzyme important in the cell’s growth cycle. One serving of cabbage can provide you with 85 percent of your body’s daily requirement of vitamin K1, which deserves a special mention because many people are deficient in this vitamin. Vitamin K1 is a fat-soluble vitamin most well known for the important role it plays in blood clotting and bone metabolism, but it’s also a known Alzheimer’s disease preventive by helping to limit neuron damage in your brain. Cabbage also contains healthy amounts of B vitamins, including folate (which is better than the synthetic form known as folic acid found in many supplements), vitamin B6, vitamin B1, and vitamin B5. B vitamins are not only important for energy, they may alsoslow brain shrinkage  by as much as seven-fold in brain regions specifically known to be most impacted by Alzheimer’s disease. Cabbage juice is one of the most healing nutrients for ulcer repair as it is a huge source of vitamin U (which is actually not a vitamin but an enzyme known as S methylmethionine). Research shows that vitamin U, administered as raw cabbage juice, is effective in promoting the rapid healing of peptic ulcers. Cabbage juice is also one of the strongest stimulants for your body to produce acid. This is a good thing, as many people have low stomach acid, which is the cause of their digestive problems, and will significantly increase the risk of infection. Having a few teaspoons of cabbage juice before eating, or better yet, fermented cabbage juice from sauerkraut, will do wonders to improve your digestion. Other compounds in cabbage that also have the potential to benefit your stomach and intestinal linings include glucosinolates, anti-inflammatory isothiocyanates, antioxidant polyphenols, and the amino acid-like substance called glutamine. 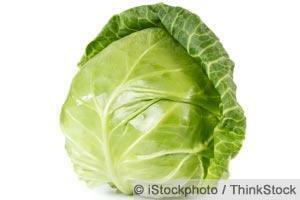 Cabbage is best prepared as close to raw as possible, sometimes called tender-crisp, to preserve its many nutrients. Short-cooked and raw cabbage, for instance, were the only kind that had measurable cancer-preventive benefits in one study (long-cooked cabbage did not have measurable benefits!). Microwaving is another no-no for cabbage, as just two minutes in the microwave destroys many of the enzymes needed to convert the glucosinolates into cancer-preventive compounds. Steaming or sautéing your cabbage quickly, or eating it raw in coleslaw and salads is a better option. Cabbage can also be juiced, as mentioned, and fermented, which will provide your body with healthful amounts of beneficial bacteria and, if certain starter cultures are used, vitamin K2. Cabbage can also be used as one of the primary vegetables for fermented vegetables. It should comprise at least 80 percent of your vegetable blend when making fermented veggies, so this is an incredibly efficient way to get more cabbage into your diet. Here’s a quick guide for how to make your own fermented cabbage (you can find more in-depth instructions here ). Shred and cut your chosen veggies. Juice some celery. This is used as the brine, as it contains natural sodium and not only eliminates the need for sea salt but also keeps the vegetables free of the growth of pathogenic bacteria. Pack the veggies and celery juice along with the inoculants (starter culture, such as kefir grains, whey, or commercial starter powder, all of which can be used for vegetables) into a 32-ounce wide-mouthed canning jar. A kraut pounder tool can be helpful to pack the jar and eliminate any air pockets. We hope to have our new starter culture which is optimized with strains of bacteria that will make high doses of vitamin K2 sometime in early 2013 assuming our testing goes well. Top with a cabbage leaf, tucking it down the sides. Make sure the veggies are completely covered with celery juice and that the juice is all the way to the top of the jar to eliminate trapped air. Seal the jar store in a warm, slightly moist place for 24 to 96 hours, depending on the food being cultured. Ideal temperature range is 68-75 degrees Fahrenheit; 85 degrees max. Remember, heat kills both the good and the not so good microbes! When done, store in the refrigerator to slow down the fermentation process. We have lost the war on cancer. 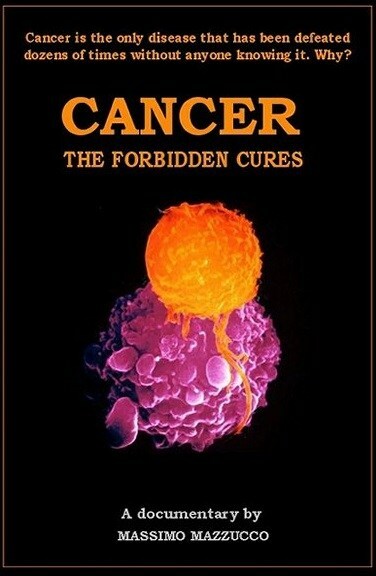 At the beginning of the last century, one person in twenty would get cancer. In the 1940s it was one out of every sixteen people. In the 1970s it was one person out of ten. Today one person out of three gets cancer in the course of their life. The cancer industry is probably the most prosperous business in the United States. In 2014, there will be an estimated 1,665,540 new cancer cases diagnosed and 585,720 cancer deaths in the US. $6 billion of tax-payer funds are cycled through various federal agencies for cancer research, such as the National Cancer Institute (NCI). The NCI states that the medical costs of cancer care are $125 billion, with a projected 39 percent increase to $173 billion by 2020. The simple fact is that the cancer industry employs too many people and produces too much income to allow a cure to be found. All of the current research on cancer drugs is based on the premise that the cancer market will grow, not shrink. John Thomas explains to us why the current cancer industry prospers while treating cancer, but cannot afford to cure it in Part I. In Part II, he surveys the various alternative cancer therapies that have been proven effective, but that are not approved by the FDA. 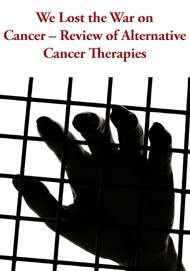 Read We Lost the War on Cancer – Review of Alternative Cancer Therapies on your mobile device! Purchase the DVD  – Free Shipping Available! Click image to view the trailer.